Winter is that time of year that is perceived to be dark, cold and dreary. However, for most railroad enthusiasts, it is the time of year for great opportunities to photograph trains in snowstorms and that wonderful low sun angle that illuminates every detail of a train. 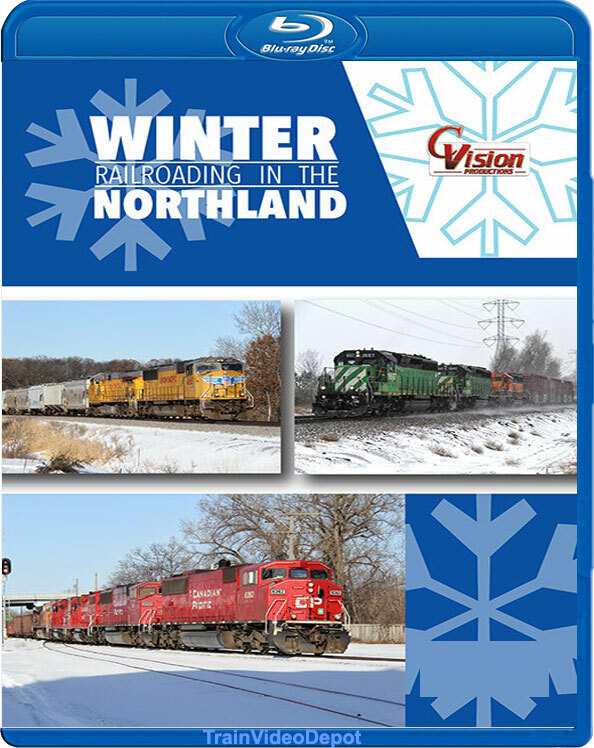 C. Vision Productions braves the harsh winter conditions of blinding snow and arctic cold sunshine in our home state to capture winter railroading at its best! Our crews braved the elements for you - capturing train movements on days when the air temperature dipped to 15 below zero. The variety of motive power in this show adds to the impressive winter backdrops you will see - from busy metropolitan areas to the open plains. Trains from BNSF, Canadian Pacific, Union Pacific and Canadian National are the stars of the show.Foreign power from CSX, Norfolk Southern and Kansas City Southern are also featured. Older EMD models are captured on the main line along with all the new modern mega pullers. Love it or hate it, winter offers a unique opportunity to capture railroading at a time when most people just want to stay inside by the warm fire. 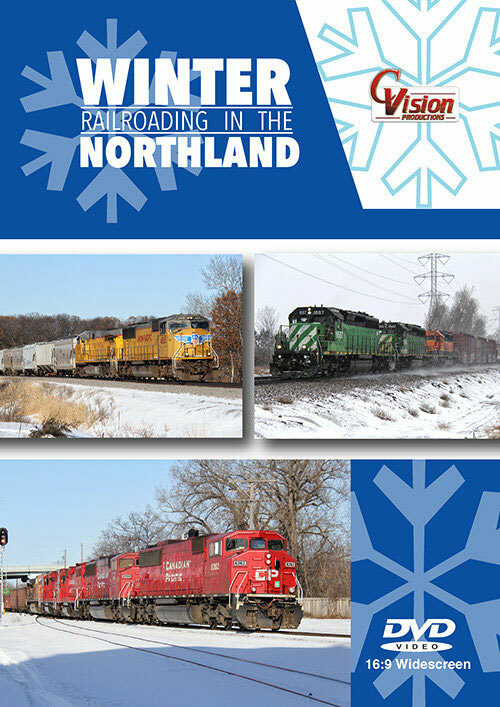 And with C. Vision Productions� dedication to providing great railroad action during ALL times of the year, you can have the pleasure of sitting in the warm comfort of your home while enjoying the great scenes of �Winter Railroading in the Northland�! Curt Cruthirds (Santa Barbara, CA) on 2019-03-09 08:04:50. This recent purchase added to my collection of C Vision discs. And while I was pleased with the videography (mostly point-and-shoot; but nice angles), image quality, and good individual train information (origin/destination, etc), I was disappointed in the number of train-chases. And while I was somewhat accustomed to this practice in C Vision releases, I found the frequency and number of chases (many times 3-4 clips of the same train at different locations) definitely slowed down the action and became boring after a while. And having personally rail-fanned the Twin Cities area, I found it hard to understand why this had to occur - with 4 Class 1 railroads and a Regional all converging in the area, with lots of traffic. But still, not a bad-purchase, but with some effort, could have been much better, from my perspective.